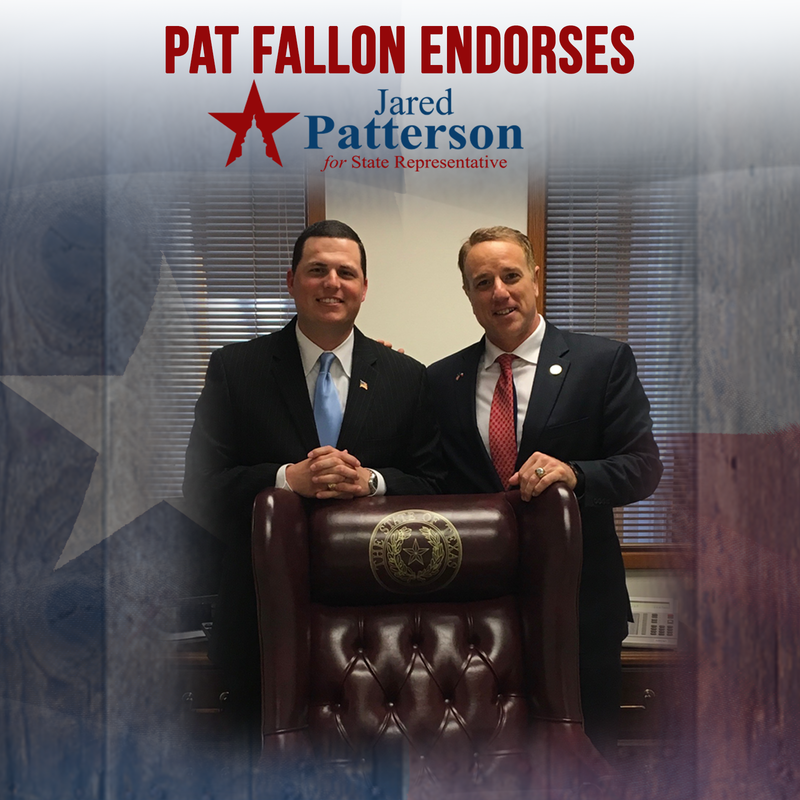 Rep. Pat Fallon Endorses Jared Patterson Campaign! I am proud to announce the endorsement of State Representative, Pat Fallon. His conservative leadership and strong work ethic will be missed in the Texas House but I am excited to continue the conservative legislative work that he has achieved and will stay true to my campaign message. Now, more than ever, is the time for more conservative voices in Austin and I look forward to working beside Rep. Fallon as he continues his work in the Texas Senate. Help us by sharing this post and donating to the campaign.